If you have some butter, garlic, and dried red peppers lying around the house and some large shell-on shrimp in the freezer, this dish can be whipped up in less than 15 minutes from start to finish. White wine and fresh herbs, such as basil, are optional. 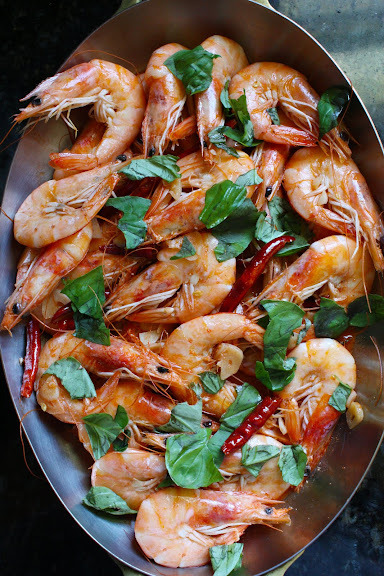 Ingredients: shell-on large shrimp, butter, garlic, dried red peppers, salt.